This artist’s impression shows the planet orbiting the Sun-like star HD 85512 in the southern constellation of Vela (The Sail). 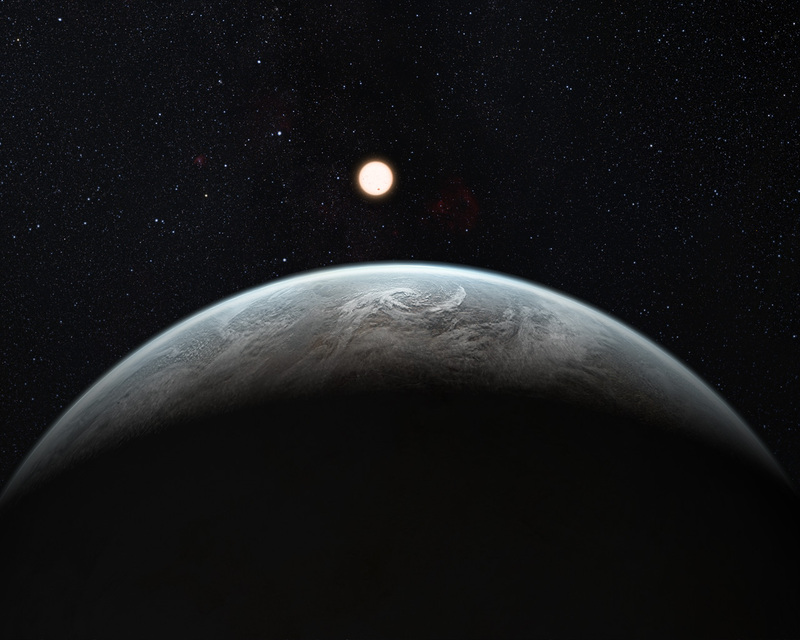 This planet is one of sixteen super-Earths discovered by the HARPS instrument on the 3.6-metre telescope at ESO’s La Silla Observatory. 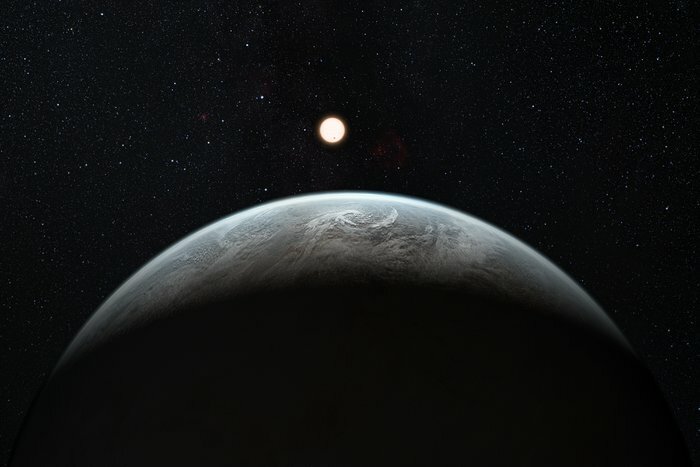 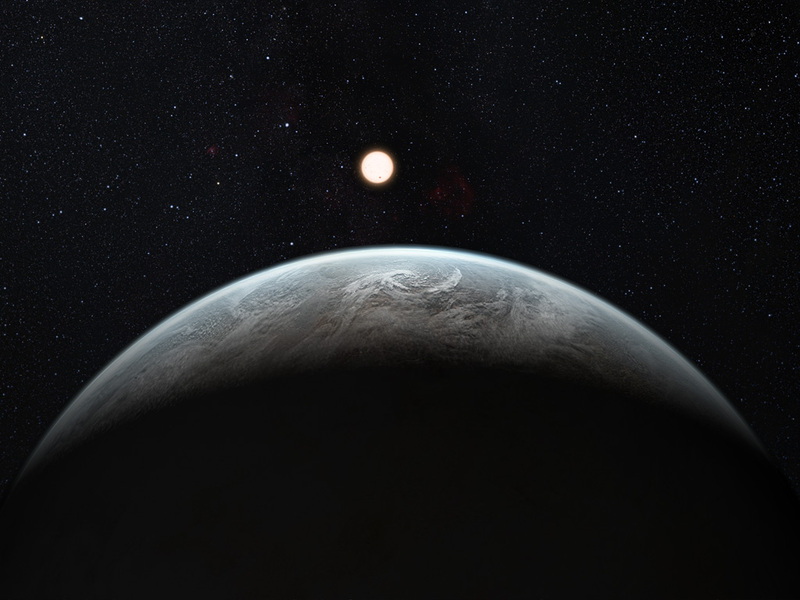 This planet is about 3.6 times as massive as the Earth lis at the edge of the habitable zone around the star, where liquid water, and perhaps even life, could potentially exist.